historical novels – how accurate are they? I was talking to an elderly lady yesterday who complemented me on the accuracy of my wartime novels. ‘It must have been especially hard for you to get them right,’ she said. ‘As you weren’t there at the time.’ And that made me start thinking about how ‘right’ historical novels ever really are. Clearly all historical fiction is fabricated in some way. Hilary Mantel was not present in the Tudor court (as far as we know), nor did Steven Saylor ever don a toga and wander the streets of ancient Rome. Mary Renault was never pally with Alexander the Great, and I wasn’t even a twinkle in my mother’s eye during the Second World War. 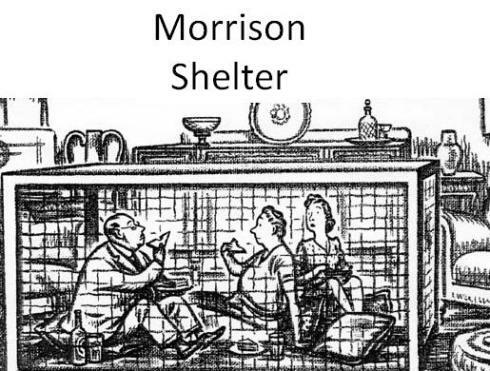 So would it have made any marked difference to my novels if I could remember cowering under a Morrison shelter as a child? Personal memories are clearly useful, but we also all know that memory can be faulty. People often ‘remember’ things that other people have told them, or that they have read about. Our recollections are always in some way overlaid by our own ‘world view’. My sister’s memories of our childhood often don’t correspond with my own (I’m quite sure I never pretended to be a puppy living in the wardrobe!) I have equally found in my own research that people’s retrospective view often varies wildly from letters and diaries written at the time. For example, the post war mantra of ‘We all pulled together’ sits oddly with numerous diary gripes about petty theft, looting and prejudice. Received wisdom and the wisdom of hindsight is often a problem for historical novelists. I believe that a crucial part of the writer’s job is to re-explore the era and to re-examine what people really were feeling, thinking and doing at the time the novel is set. The most effective way to do this is to study the history, investigate different reports of specific events, read diaries, letters, magazines, newspapers, listen to old radio shows (I still giggle at the idea of the indefatigable Sandy Macpherson and his everlasting organ! ), and yes, if possible, to talk to people who were there. When you pull all this information together you get a real feel for the specific era you are writing about, but of course, even then, it is still only background material. The key skill of any successful novelist is the ability to create three dimensional, empathetic characters and to weave them into a plot which will not only transport readers to the time and place of the story but will also give them a compelling reading experience. So, yes, when writing any type of fiction it’s clearly vital to get it as ‘right’ as is humanly possible, but I don’t believe it’s necessary to have ‘been there at the time’ in order to create a sense of authenticity. If that was the case the number of historical novels on our shelves would be very limited – and science fiction novels nonexistent!